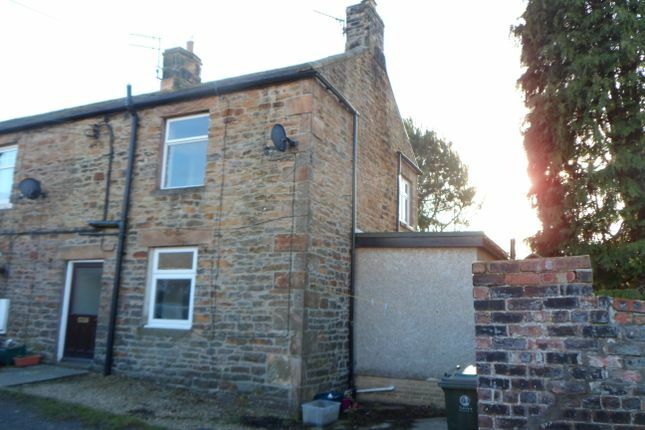 This stone-built, end of terrace house, with two double bedrooms and is situated in a popular area, just off the main thoroughfare in Redburn with bus stops nearby providing a regular bus service between Carlisle and Newcastle and the local main line station in Bardon Mill. The property is offered with the benefits of double glazing and solid fuel central heating and the accommodation comprises: Entrance Hall, Open Plan Living Room/Kitchen, Ground Floor Bathroom/WC, Two Double Bedrooms, En-Suite WC off the Main Bedroom, Allocated Parking Space. Redburn is situated between Haydon Bridge and Haltwhistle, which both have a wide range of amenities to cater for your daily needs. The property would suit somebody looking for a small home or holiday cottage, or buy to let opportunity. An early viewing is recommended to appreciate the accommodation on offer. For further information and your appointment to view please call our Hexham team on . Part glazed wooden front door, radiator, stairs to the first floor. The Living Area comprises: Double glazed window to the front, radiator, wood panelled ceiling, feature stone fireplace with inset fire on a tiled hearth, deep understairs cupboard. Range of fitted wall and base units, single drainer stainless steel sink unit, electric cooker, laminate flooring, door to bathroom. Double glazed window to the side, radiator, walk-in shower, pedestal wash hand basin, store cupboard, low level wc. Double glazed window to the front, radiator, built-in cupboard housing hot water tank, door to en-suite. Low level wc suite, pedestal wash hand basin. There is a paved frontage to the house and small hard standing area to the side. Property descriptions and related information displayed on this page, with the exclusion of Running Costs data, are marketing materials provided by Pattinson - Hexham, and do not constitute property particulars. Please contact Pattinson - Hexham for full details and further information. The Running Costs data displayed on this page are provided by PrimeLocation to give an indication of potential running costs based on various data sources. PrimeLocation does not warrant or accept any responsibility for the accuracy or completeness of the property descriptions, related information or Running Costs data provided here.